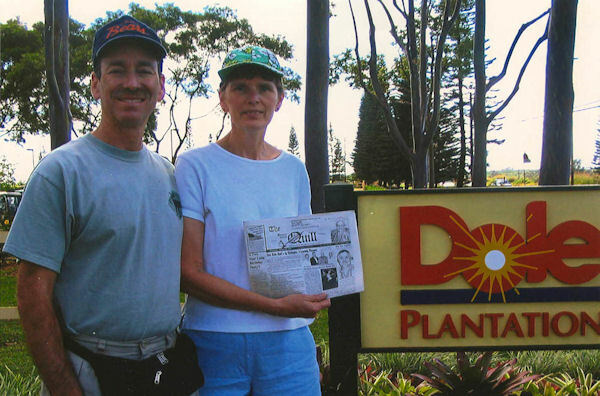 On February 20, 2008, Scott and Jayne (Kralovec) Forwood, Payette, ID, traveled with the Quill to Wahiawa, Hawaii to visit the Dole Plantation. While in Hawaii, Scott and Jayne celebrated their 25th wedding anniversary. When you go on a trip, take the Quill along and capture your picture with it and send it to us. Let's see where all "The Quill" can travel.